REDUCED. 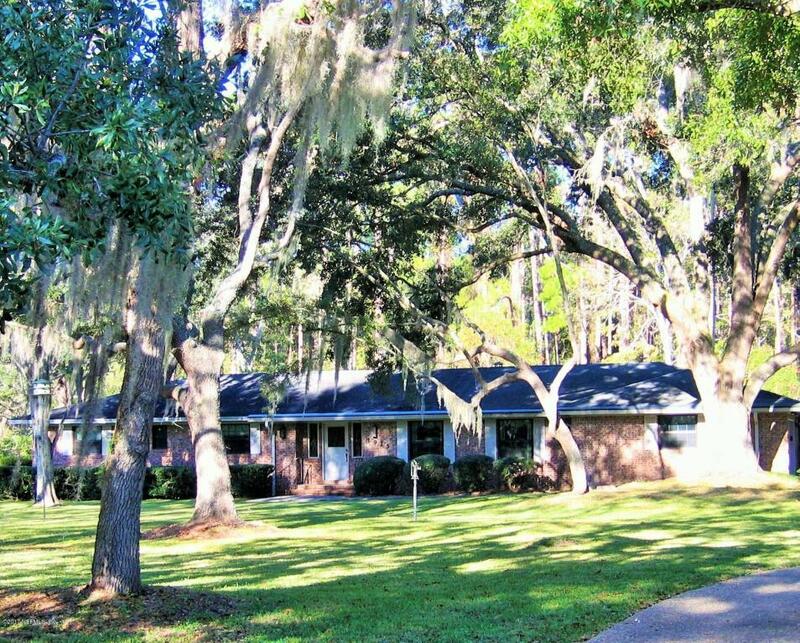 CUSTOM BUILT,SE Facing, ORIGINAL OWNER, BRICK Veneer Home in the Heart of MANDARIN. 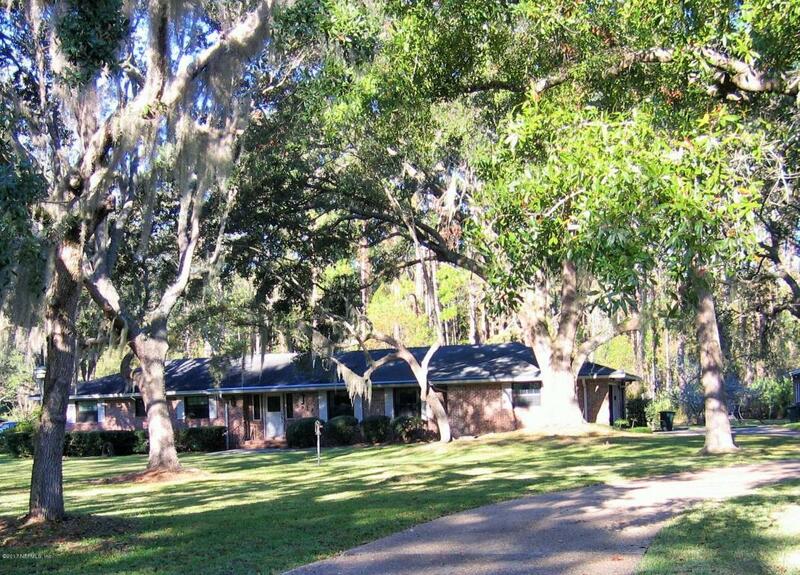 (2.5 to 2.59 Acres)with MAGNIFICENT OAK TREES, driving Convenience to Shopping, Restaurants, Close to I-295 for access to NAS JAX, MAYO CLINIC, Rt.95 N to Downtown, Airport,S to St. Augustine. 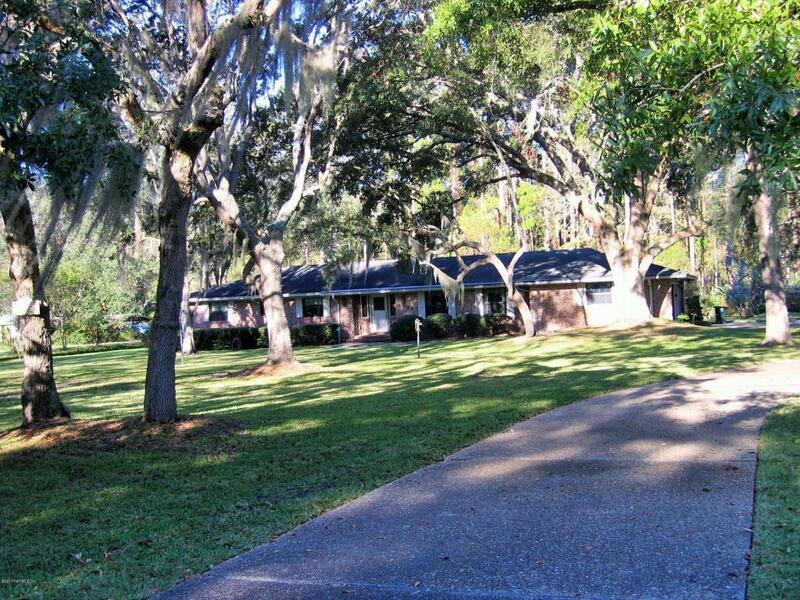 TWO CAR ATTACHED GARAGE & TWO CAR LARGE DETACHED BRICK GARAGE. Detached Garage WIRED FOR PORTABLE GENERATOR. Home Has Great Bones with NEWER WINDOWS,ROOF, HVAC SYSTEM and 2 HOT WATER TANKS, 2 SEPTIC TANKS, 2 PANTRIES. Deep WELL for Domestic WATER with five filter Osmossis system. Inside Laundry Rm, All closets including the Walk in Linen Closet have lights. GUTTER HELMET LEAF GUARDS. TRANSFERABLE TERMITE REPAIR BOND. NO HOA OR CDD FEES with Space to Park RV's,Boats,Trailers2nd Hot water tank in hall closet has built in sewer drain for water over flow and emergency relief. Portable Generator in garage does not convey but is negotiable. Each major room including all the bedrooms have HVAC Return Ducts to the Air Handler. Home is being sold "AS IS" for the convenience of the seller.